I found the idea of "Continent Boxes" on Pinterest last year, and they immediately became part of my "to-do" list. 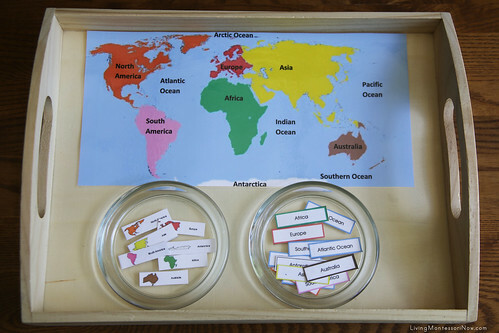 Continent Boxes (CB) are an organized way to store and present content about the seven continents. The boxes can be filled with pictures, maps, objects, food, artwork, informational cards, souvenirs, currency, flags, or anything you want. They were originally a Montessori idea, so most of the materials available for CB are Montessori in nature. 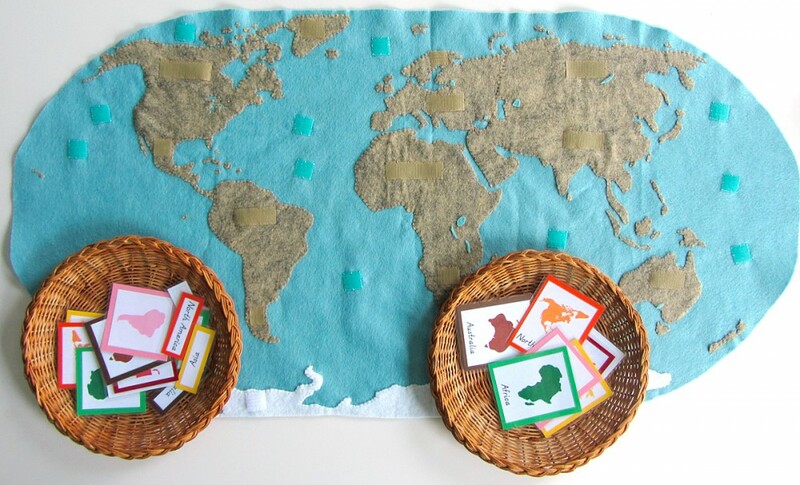 The founder of the Montessori teaching style/lifestyle assigned colors to each of the seven continents to help children identify them (and the material that goes along with them) easier. North America is orange, South America is pink (although for aesthetic purposes, I think I'll be using purple), Africa is green, Europe is red, Asia is yellow, Australia/Oceania is brown, and Antarctica is white. Nearly all of the printed materials I've found have used those colors, which is why I mentioned it. I've also found that people usually include an extra box for a country of particular interest to the family, such as the nation that the family calls home. Some people make "Continent Bags" instead of boxes using fabrics from the different regions. Others chose boxes in plain colors that match up to the Montessori continent colors. 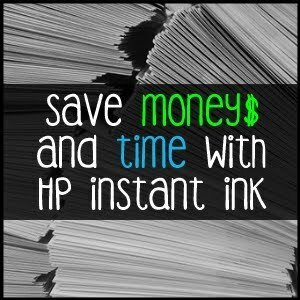 Some uses clear plastic shoe boxes, white bankers boxes, or even carts with drawers to hold the materials. There is really no wrong way to make a continent box, which is a good thing. Unfortunately the variety (and storage space) involved in a CB was one of the things that prevented me from starting on them. Then, this week, I had a revelation- you don't have to start with 7 bulky (and sometimes quite empty) boxes. 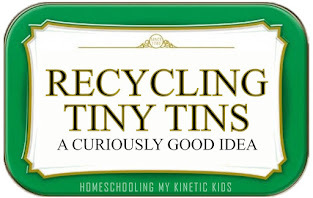 You can start with just one! And, so I have. 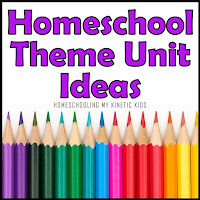 I decided to start gathering all of my "worldly" materials into one box, which could then be divided into smaller boxes as our homeschooling life grew. 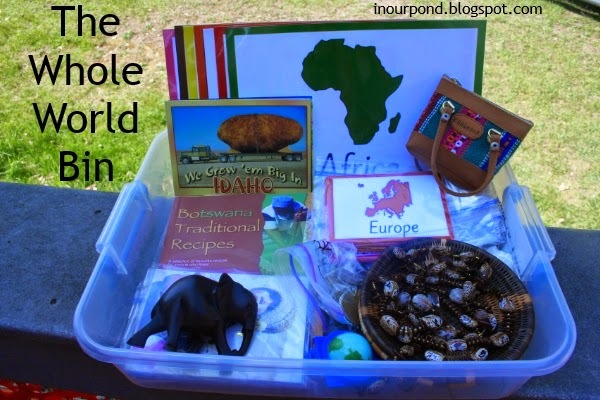 My box is a bit heavy on the "Africa" side, since my husband and I spent over a year there before we started our family. The items are: a couple small baskets from Botswana, a cookbook from Botswana, some money from Botswana and South Africa, a pair of pod necklaces from Swaziland, and a wood-carved elephant from Swaziland. I have also visited a few Latin American countries (and my husband was born in one), so I added some currency from El Salvador and Costa Rica and some coffee beans. The globe is from the top of a Safari Toob. I included a "Wild" Safari Toob, but it isn't visible in the picture. I have a lot of empty lip balm containers from my seed matching game so I've started filling some of them with spices: cumin, turmeric, and coriander. Once I started this box, it was easy to find things to put in it. 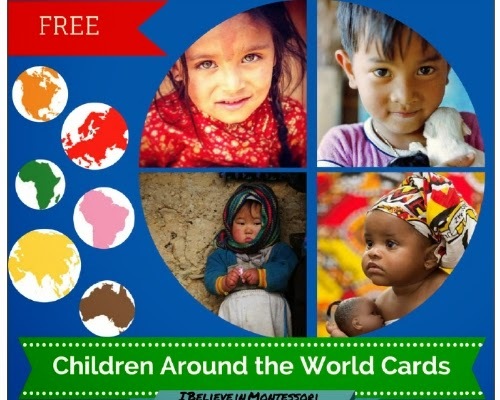 I have two printables in my box, one called Children Around the World Cards (free at Teachers Pay Teachers) and the Montessori Continent Cards (free from Imagine Our Life). 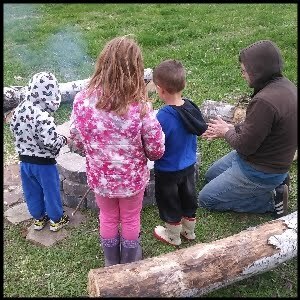 In my research, I ran across a blog after my own heart called Imagine Our Life. She has an entire series about a felt map that she made for her kids. And, she gave her patterns away for free! I intend to make the map my "summer project." She also includes printable cards for each continent that match up to the Safari Ltd Toobs. 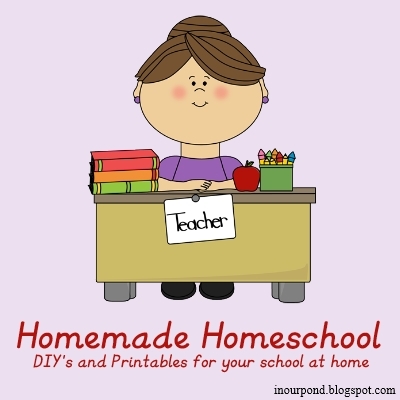 Please check out her amazing ideas on her blog.